As our nation’s healthcare system undergoes significant change, retail pharmacies — uniquely positioned for an increased role in primary patient care — are examining clinical interoperability and collaboration options. Pharmacies must look beyond electronic automation of traditional processes, like prescriptions and communication toward two-way, interactive connectivity, giving the pharmacy the capability to both view and populate the patient’s community health record. As most clinical systems are created for non-pharmacy providers, expertise in pharmacy workflow and revenue cycle will be crucial. 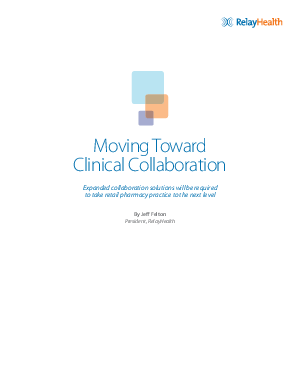 Ultimately, the key to successful clinical collaboration will be choosing a partner who can help you mind your bottom line so your pharmacists can focus on the clinical aspects of your expanding practice.